Stingy Jack was a man in old Irish legends who was too mean to get into heaven but played too many tricks on the devil to go to hell. Thus, Stringy Jack was damned to roam the earth forever. In a streak of kindness, the Devil threw Jack bits of coal to light his dark nightly journeys. Jack carried the coal from hell in a lantern made from a turnip. 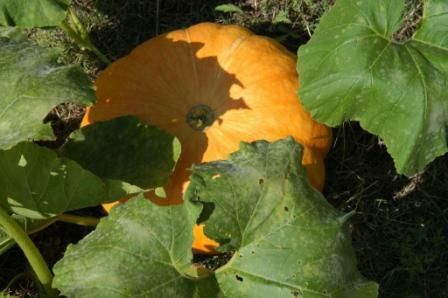 Stingy Jack became known as "Jack of the Lantern," or "Jack-o'-lantern." From this legend came the Irish tradition of placing jack-o'-lanterns made of turnips and other vegetables in windows or by doors on Halloween. 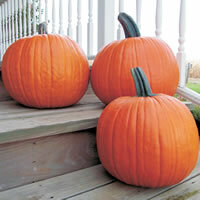 The jack-o'-lanterns are meant to scare away Stingy Jack and all other spirits walking the earth on Halloween. When immigrants brought the tradition to the U.S., they began using the Native Americans' larger pumpkins for jack-o'-lanterns. Organic farmers use fewer pesticides that can contaminate waterways, lakes, and oceans.